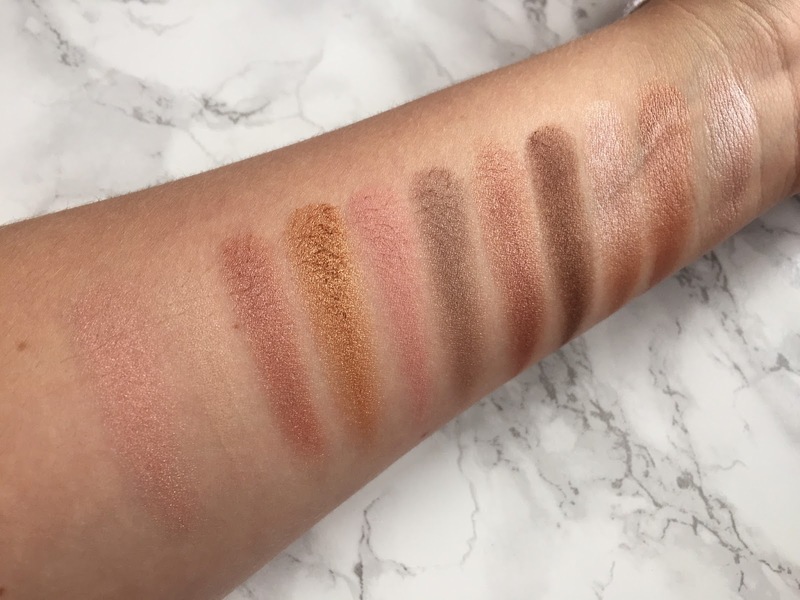 Seventeen is a brand that I have been trying out a lot recently and I have been obsessed with this eye shadow palette. 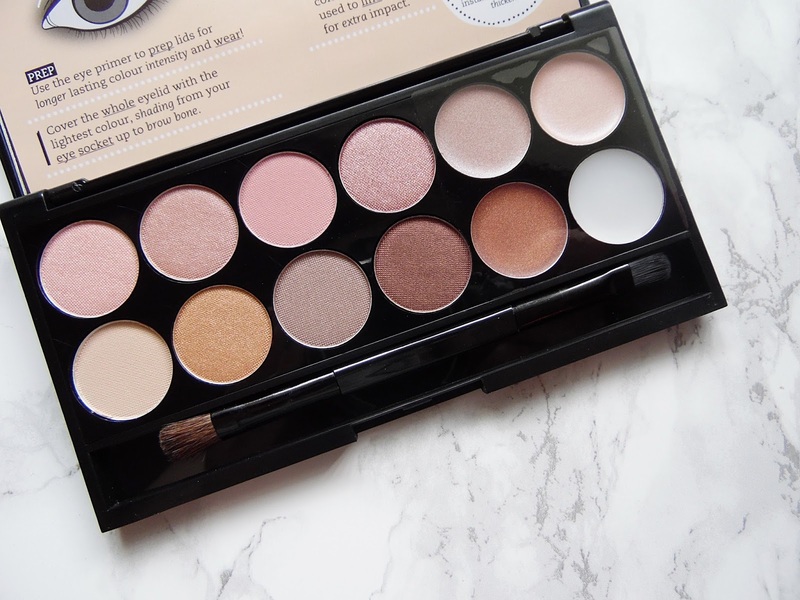 I had been on the look out for a budget palette for the summer months which I could take on holiday with this me and I have been using this palette every day since it arrived! This is the Seventeen Easy on the Eye Birthday Suit Eyeshadow Palette which has 12 pans including with a double ended brush and a great sized mirror - there was even a coupon inside the palette too which was a great little bonus! Inside the palette are eight eyehadows, three metallic cream shades as well as an eye primer. I like that Seventeen have included an eye primer as I haven't got any other palettes with a primer in which makes this perfect for holiday as I don't need to take an extra product! Another thing I am very happy Seventeen did was that they have actually put a seel over the cream pans in the palette so they don't dry out before you start to use them and it will protect them from getting any shadow fall out in them. The eight eyehadows in the palette have a mixture of finishes with three different finishes. There are matte shades, shimmer shades and also pearl eyeshadows. All of powder eyeshadows are super soft and have good pigmentation, the only one that has a slight less pigment is the first shade on the bottom row which is called Sun Kissed Peach (on the pack of the palette is all of the names of the shadows which again is a great touch from Seventeen). This shade doesn't swatch on my hand as well as it applies to the eyes but it does show up on the eyes. The metallic cream shades are SO pigmented - I was so impressed with these, my favourite shade is Bronzed Buff. The powder shadows had minual fall out and were so easy to apply while blending out like a dream. I like that they have included a great range of finishes and shades in the palette as you can create very simple looks for the daytime and mix it up for the evening with the slightly deeper shades. If you are looking for a super sleek eye palette with everything you could possible need - you have found your palette! 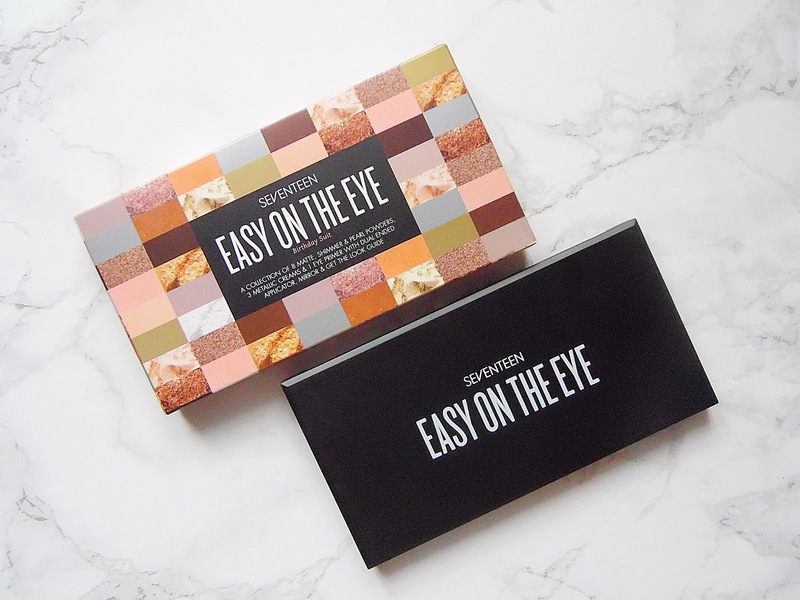 The Seventeen Easy on the Eye Birthday Suit Palette retails for £7.99 - HERE.